No more spraying. Florida Fish and Wildlife Conservation Commission announced Thursday that it is putting a pause on herbicide treatments on fresh water around in Southwest Florida. That temporary decision will make the state stop spraying chemical weed killers into all Florida lakes and waterways starting next week. This isn’t the first time their water treatment’s made waves. Some fisherman have long worried about the chemicals’ effects. 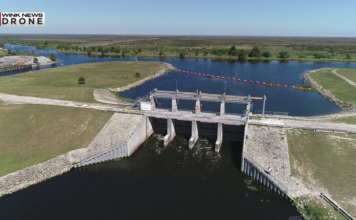 That pause by FWC is something many anglers and businesses that depend on clean water have been waiting for, and they say everyone who enjoys Florida’s water will see an impact. Iglesias has been on the forefront of this fight. He and other environmentalists believe the herbicides may be leading to increased nutrients flowing into Lake O, and feeding blue-green algae like we saw this summer. More than 100,000 people signed an online petition asking the state to stop spraying. “It’s the hard work of the anglers that have been complaining about this on social media and calling their representatives,” Iglesias said. FWC does say killing weeds in our waterways has many benefits to water quality, including flood-control. But Iglesias said there has to be a better way. FWC will pause the program while getting public comment at several meetings throughout the state. The dates and locations of those meeting haven’t been announced yet. Trust WINK News to update you as more information becomes avaiable.